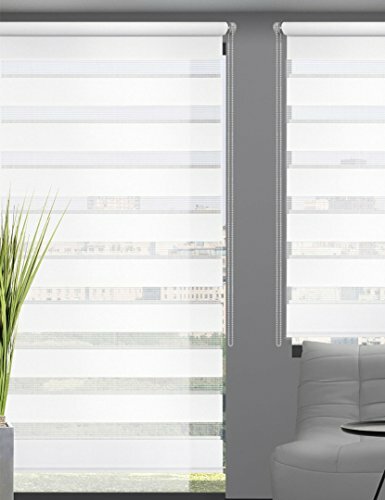 ♥DUAL FUNCTION: Zebra roller blind,flexible adjustable to translucent or fully blackout and sun protection. ♥PREMIUM MATERIAL:Splash Resistant and blackout. 100% polyester material, easy to clean, do not fade. ♥EASY INSTALL: Suitable for tilt and turn or inward opening windows mounting. ♥APPLICATION: It is perfect for Living Room, Dining Room, Office, Meeting Room, Cafe, Hotel, Study Room, Library etc. The new blind roller may smell a bit pungent. Do not worry, a few days later everything will be fine. Request for your understanding. If you have any questions about this product by BRONZEMAN, contact us by completing and submitting the form below. If you are looking for a specif part number, please include it with your message.